President Dmitry Medvedev has signed a law which partially cancels the majority election systems in the regions, according to the official presidential website Kremlin.ru. ­Earlier in March the law was adopted by the State Duma and the Federation Council. Amendments to the Law on Basic Guarantees of Electoral Rights imply that proportional representation should be used during election to local representative bodies made up of more than 20 deputies along with the majority system. "I propose to make it compulsory to use a proportional or mixed electoral system for elections of representative bodies in urban districts and municipal districts that have at least 20 deputies,” Medvedev said, as reported on the official presidential website. “Political competition at the grassroots level will help strengthen confidence in the party system and improving accountability of parties to voters." This means that at least half deputies should be elected on party lists, while other contenders can make their way to the representation body through the majority system. It was Dmitry Medvedev, who supports wider use of the proportional system in order to strengthen political competition and the role of smaller parties in the regions, who initiated the amendments. “Political competition of the low level will improve the credibility of the party system and will also contribute to increasing parties’ responsibility to the voters,” the Russian president said. Before the amendments were adopted, individual candidates or party nominees had to gain the majority of votes to get a seat in local legislatures. In the proportional representation election voters cast their ballots for party lists. 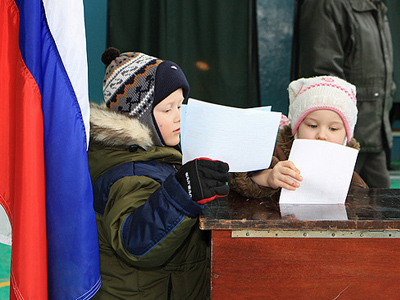 The changes put forward President Medvedev would introduce a mixed electoral system.